Teena found an advertisement for the East Coast Comedy Night 2 online this week and bought tickets. One problem, though, was if the Toronto Blue Jays went to a game seven, we would be staying home to watch that game instead. Sadly, the Jays lost last night. Happily, it meant we were going to the show. The entire line-up of comedians and musicians were all performers from the Atlantic provinces. The stage was set up with Atlantic Canada props, even including a stack of Alpine Beer boxes from New Brunswick. The show was fantastic. It was 90% comedy and while all the performers were good, some were down right hilarious. My favorites were the host Marcel St. Pierre, an Acadian from New Brunswick, Dave Healey from Halifax, Daryl Purvis from Antigonish and the headliner Peter Anthony from Nova Scotia, who had Teena and I in tears. Here he is from a CBC show doing part of his act that he did last night. 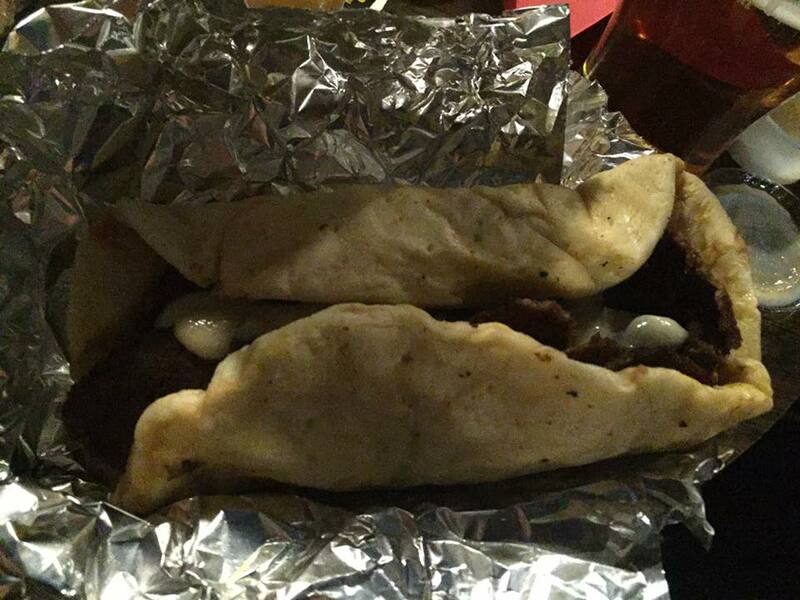 There were Nova Scotia donairs which came in from a local place on the Danforth called The FUzZ Box. I'd only had a donair once and it was from a foodcourt in a mall in Halifax. I thought it was good. There were two draws. One was for a $100 gift certificate from Rock Lobster, which would have been sweet to win. The other was two bags of lobster-flavoured chips from New Brunswick. One table won them, couldn't finish one bag and gave it to our table. It was like a BBQ chip but with a weird fishy finish. If I ever get to New Brunswick, I will not be buying these. All in all, it was a fabulous, fun night. We'll be back next year for East Coast Comedy Night 3!